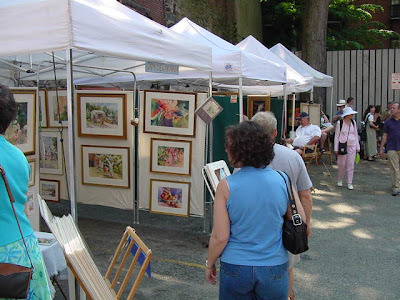 The Beacon Hill Art Walk is an annual event that takes place on the first Sunday every June, throughout the nooks and crannies of Beacon Hill. Residents open up their private gardens, alleyways, and courtyards and allow artists to display and sell their artwork. It is a chance for visitors to tour the private spaces of Beacon Hill (free of charge) while viewing original artwork. Thousands attend each year. It is a popular event in the neighborhood, with a festive atmosphere and musicians playing in various gardens throughout the day. Around 100 artists usually participate, with a variety of styles, media, and subject matter. 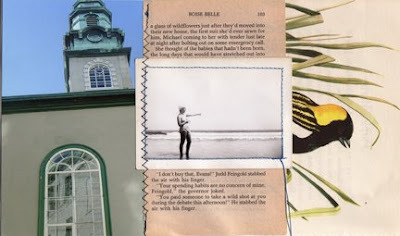 Jessica Burko will be showing her work at the Beacon Hill Art Walk this year for the first time. You can find her in Phillip's Court (#4 on the map) exhibiting her new Paper Quilts.